Pro Kabaddi Season 6 will move next to the vibrant city of Ahmedabad at the TransStadia Arena, where home team Gujarat Fortune Giants would be looking to continue their great form and exert their supremacy on the rest of the league. Known to be the most advanced arena in India, the TransStadia Arena is a fortress for the Fortune Giants as they receive great support from their fans, who convert the imposing arena into a fortress where opposition teams know they have their backs to the wall. The Arena is reported to be the biggest in Asia and is India's first convertible stadium, allowing multiple sports to be hosted, apart from cultural events. With its own Sports Science and Rehab Facility, the arena is at the pinnacle in terms of sports arenas across the world. The arena's excellence was rightly recognised by StadiumDB.com, as they nominated it for the Stadium of the Year 2017 award. A lot of local celebrities will also be at the arena supporting the Fortune Giants. Among the names expected to be there are Gujarati cinema heartthrob Malhar Thakkar, popular RJs Archana and Virat and health coach and fitness influencer Sapna Vyas, who will all be cheering their team along vociferously. The chance to watch some great kabaddi and see stars enjoying the action as fans is a combination rarely available and fans should throng to the stadium just to take advantage of this unique opportunity. Fans will also be able to enjoy an enthralling performance by Prince Gupta of Dance India Dance fame. A beautifully choreographed dance will be performed by Prince and his group at the Arena, to ensure fans enjoy their time at the stadium. This will give them some light-hearted entertainment before they move on to watch the intense, thrill-a-minute action of the Pro Kabaddi League. Home advantage plays a huge role in most team sports as having your fans cheer for your every move and provide fervent support always serves to intimidate the opposition and gives the home team a big boost. 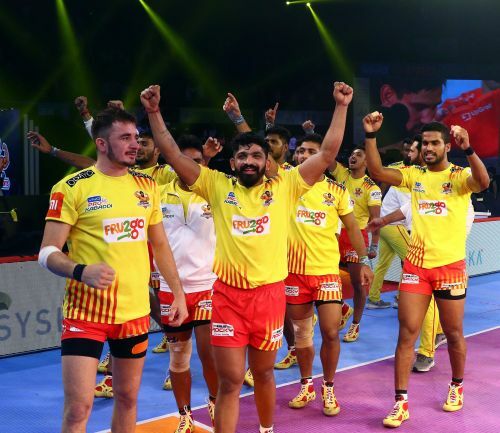 Having gone to other stadiums across the country and silenced them so far in season six, it is now time that the team from Gujarat shows why it is considered to be among the best outfits on display in Pro Kabaddi League. Despite having played only eight matches, they are currently third in Zone A with 34 points, only 12 points shy of top position, with four games in hand. Led by captain Sunil Kumar, the team plays with a youthful exuberance and energy that defines their approach to every game. 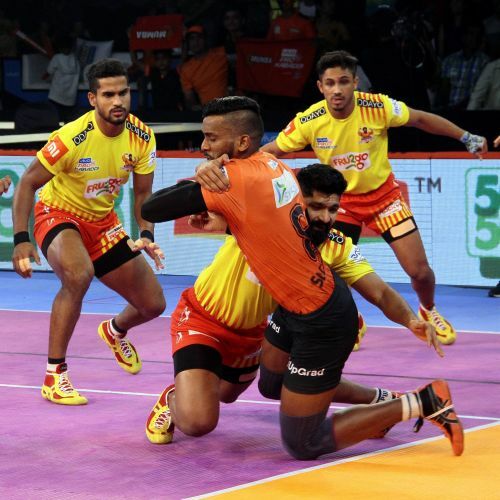 Their 'never say die' attitude reflects in how they win and with a young coach in Manpreet Singh guiding them, they are keen to right the wrongs of last season and go one step further and win the tournament this time around. Season five saw them dominate the home court, winning four of their matches comfortably and drawing the last one to prove their dominance. As part of the Inter-Zone Challenge Week, they will take on Bengal Warriors, Bengaluru Bulls, U.P. Yoddha, Dabang Delhi K.C, U Mumba and Haryana Steelers, with the encounters against the Bulls and U Mumba expected to be very closely fought games, where home support and the intimidating atmosphere in the Arena will play a huge role. With a brilliant kabaddi team, some great fixtures and an energetic crowd, the Ahmedabad leg of season six of the Pro Kabaddi League looks all set to a must-watch week of action. Fans can turn up in huge numbers and support their Fortune Giants by wearing their colours and making the stadium a sea of red and yellow. Merchandise stores will be set-up inside the arena where there will be access to a lot of Fortune Giants merchandise that will help make the atmosphere intimidating for opponents and make the experience one to cherish for both fans and players of the Gujarat Fortune Giants franchise.